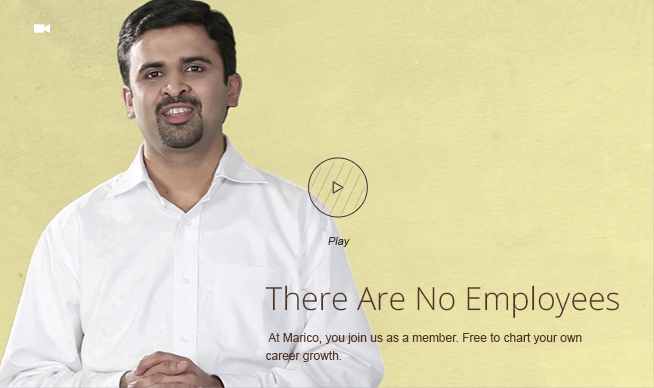 We at Marico offer all our members a defined talent value proposition to continuously challenge, enrich and fulfill the aspirations of Mariconians so that they can maximize their true potential to 'make a difference'. 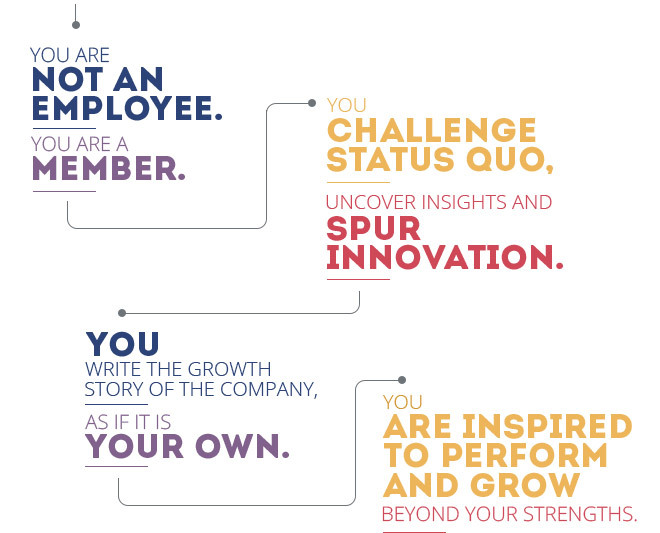 Our flat organization structure is built on a culture of early responsibility; you are given complete ownership of your business right from when you join. Here, you question the paradigms, take calculated risks and push the boundaries of the task at hand. Our evaluation system is based not only on performance, but also on potential. This is why we have the Personal Development Planning (PDP), which is different from the Performance Management Process. Here, you create your own career path rather than follow a pre-determined course, and thus, unlock the limitless possibilities of your true potential. We believe that maximum learning happens on the job. So, we aim to expand your knowledge curve with a steady job rotation system. As you go through the diverse roles, you learn quicker and grow faster in your career. More than that, you will start thinking like an owner rather than an employee.